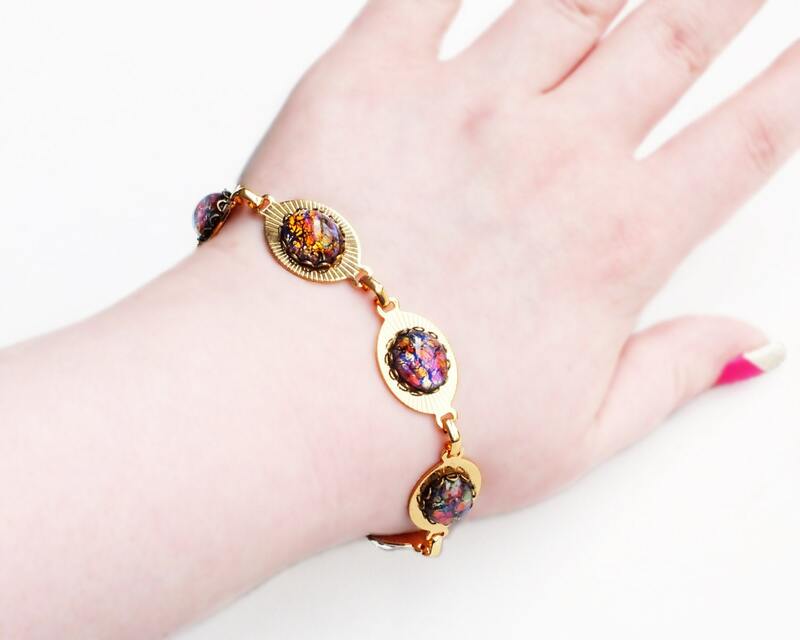 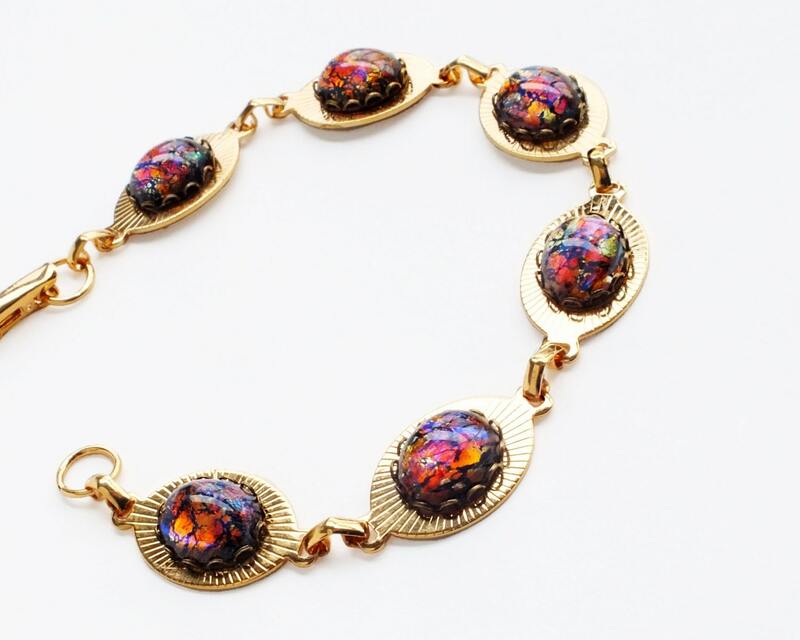 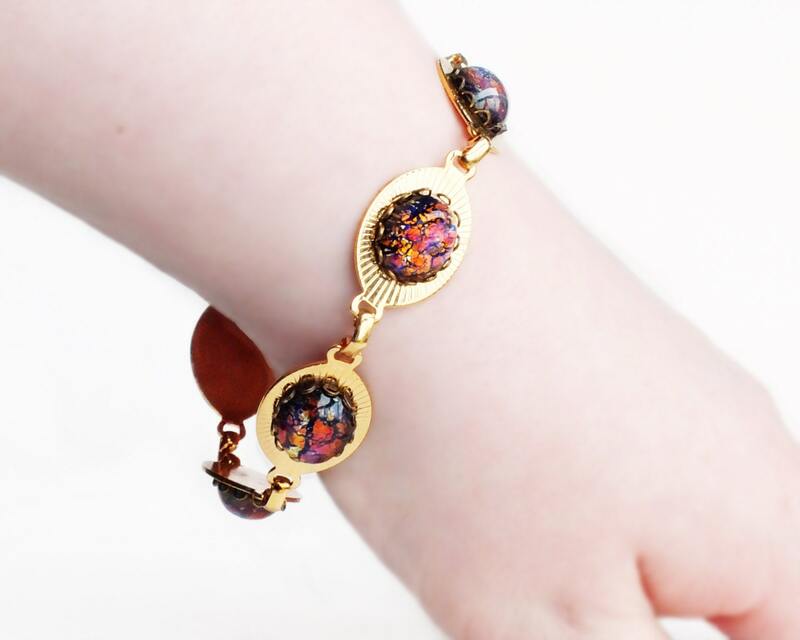 Handmade black opal bracelet with vintage iridescent rainbow glass fire opals and gold plated chain. 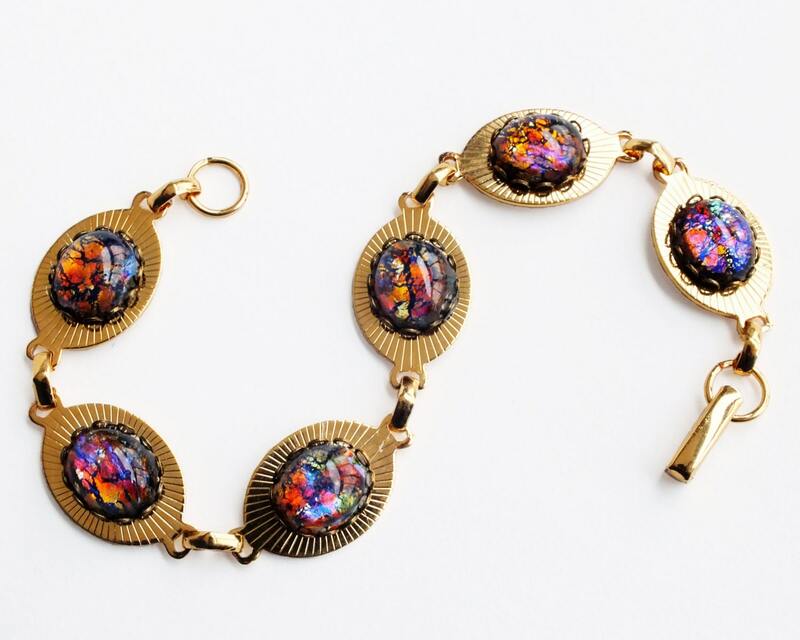 Made with beautiful genuine vintage glass harlequin fire opals in a rainbow palette over black with bright blue iridescence. 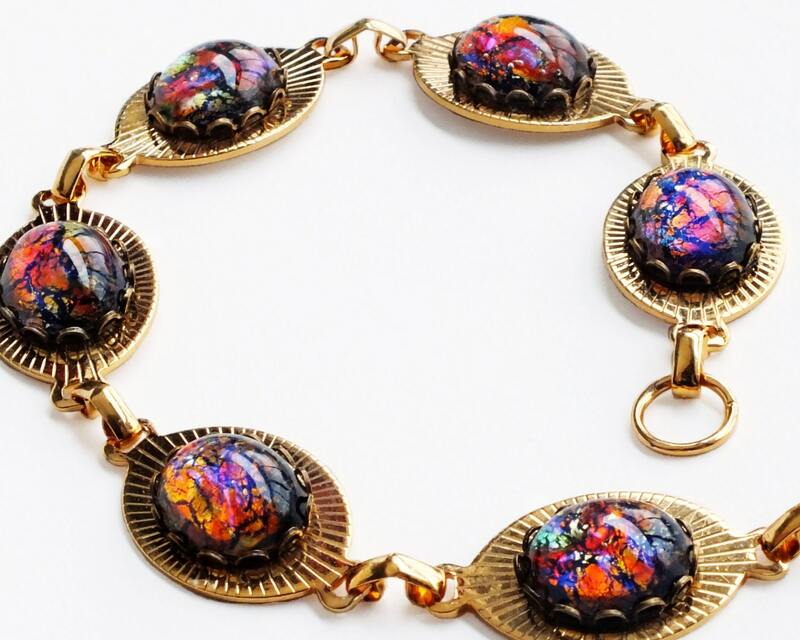 Truly the most colorful vintage glass opals I've ever found!